Adam Reed (born Sobieski) is fairly happy with his adoptive mom Renata, living in Minnesota. He hangs out with his quirky friend Barry, who has a hard life of his own, living with his mom Tiffany in a local trailer park. Adam has some anger management issues, and does not talk a lot, because he didn't get adopted until he was 11, and he doesn't feel that his English is that good. He frequently runs afoul of Kase Kinshaw, a jerk who calls him "Duh" and gives him a hard time at school. When his basketball skills bring him to the attention of fellow player Carli Anderson and her father, he gets an opportunity to try out for the Fury travel team. Carli helps him not only with improving his basketball skills, but is nice about driving him places when Barry's car falls apart. She also encourages him to talk more, and to interact with his new teammates so they don't think he is stuck up, and the two eventually start dating. When Renata starts dating a neighbor with two young daughters, Adam is concerned that it will end with her being unhappy, although he rather likes Michael and enjoys playing with his daughters. 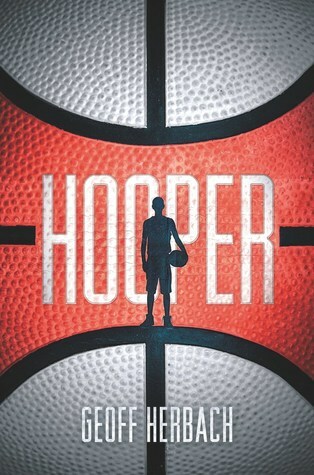 Throughout the course of the book, we learn more about Adam's neglected childhood in Poland, and watch as he improves his basketball skills and tries to get a handle on his internal rage so that he has a chance to attend college. Strengths: Herbach is a brilliant, brilliant writer. He understands what his audience wants, and he delivers: sports, romance, interpersonal problems, humor. He has the best ability to write a slightly off-kilter voice of any author I can think of! Adam's English isn't broken exactly, but his voice is so distinctive that I could HEAR it. The basketball details are interesting, and Carli is fantastic. She is a better player than Adam (although recovering from injuries), and she has a fantastically equal relationship with him. Adam's anger and his problem interacting with others is realistically protrayed, as is Renata and her difficulties. Adam makes a few comments about his black teammates that are insensitive, and I appreciated that these were fully discussed. Teens do sometimes make comments that show a lack of understanding, and the other players don't just react to Adam, they show him the error of his ways (in a slightly angry fashion, which is also realistic) and he is able to understand what he did wrong and change his views. We need more of this in teen literature. Enjoyed this tremendously. Herbach's Stupid Fast, Fat Boy vs. the Cheerleaders, and Anything You Want (which is definitely YA) are all fantastic. Weaknesses: While I understood the genesis of Adam's social difficulties, it might have helped to have a tiny bit of explanation about how childhood trauma can lead to issues of anger and failure to connect with others. Not sure how you would work them in. What I really think: While Adam is an older high school student, Herbach is circumspect in language and situations enough that this is perfect for middle school students who want more of a challenging read.